"Do you need cholesterol?" Of course, you do. Testosterone, estradiol, dihydrotestosterone, DHEA, cortisol, progesterone - all these hormones are downstream metabolically from cholesterol. And cholesterol is integrated into your cell membranes. So, yeah, you need cholesterol. But that's not really the question. The question is really how much cholesterol do you need? Or, better yet, do you need high cholesterol? 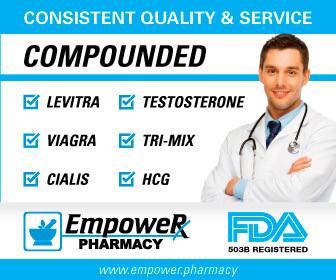 I have guys come on the Peak Testosterone Forum all the time that believe you need high levels of cholesterol in order to have good testosterone levels and good brain health. We will shatter that silly myth below and hopefully spare you clogged arteries and erectile dysfunction. First of all, your liver manufacturers all the cholesterol that you need. You do not need to consume even a gram of cholesterol in your diet and you'll be just fine. More importantly, you do not need to consume saturated fat, which artificially raises cholesterol levels, for a boost in your lipids. CAUTION: Some men have genetic issues that can artificially lower cholesterol and LDL. In addition, there are certain medical conditions which can lower cholesterol, i.e. certain medications and recreational drugs, liver problems, gut/intestinal issues, etc. In these cases, the low cholesterol is not a good thing and the root cause needs to be corrected. 1. Your Liver. If you are artificially pumping up your cholesterol levels with industrial meats, which have very high and unnatural levels of saturated fat (and a skewed omega-3/omega-6 ratio), then you are essentially saying that you do not trust your liver to pump out enough cholesterol for your day-to-day living. Seriously? Your liver can't handle making enough cholesterol, so you need to drop 20 grams of saturated fat into your gut to help out? 2. Loren Cordain's Early Research. Loren Cordain is the father of modern Paleo - what I call classic Paleo - and he championed the idea of looking at primal peoples / cultures as a model of how to eat and live in order to be healthy. Why did he do this? Because these primal peoples are generally incredibly healthy. They put us to shame when it comes to chronic disease - virtually no heart disease, cancer, hypertension, dementia. Now guess what his research turned up? Not one of the groups he studied had cholesterol over 150! Not one. Think about the irony of this: your friends and family would probably criticize all these primal cultures for having cholesterol so dangerously low! And yet the great majority of your family and friends will have some combination of advanced atherosclerosis, hypertension, diabetes, prediabetes, Crohn's, arthritis, cancer, IBS - the list just goes on and on - while virtually no one in the primal cultures would have any of those. So who are you going to trust? Are you going to trust the health gurus who tell you that cholesterol of 250+ is healthy and that cholesterol below 150 is unhealthy? Or are you going to trust the dozens of primal cultures from all over the planet who lhave lived essentially a disease-free life (in terms of chronic disease)? 3. The Plaque Reversers. There are three guys who have been reversing plaque in large groups of patients for years: Dr.s Esselstyn, Davis and Gould. These guys are my heroes. As you reverse plaque, you increase blood flow and nitric oxide and you lower blood pressure. Yes, that is going to be GREAT for your erections. Your penile arteries are no different than your carotid or cardiac arteries: they work best when you clear the plaque out of them. And guess what? Every one of these guys wants your LDL low (which will require cholesterol to be below 150 as well). Dr. Esselstyn wants your LDL below 80 for example and Dr. Davis below 60 as I document in my page on LDL Levels Necessary to Reverse Plaque. 4. The Tarahumara. This indigenous people in northern Mexico eat a low fat diet and have cholesterol in the 120's. Of course, it's tragic, because they all die by age 30 from low cholesterol, right? Wrong! They are probably the longest lived people on planet earth currently with a high percentage of centennarians and they have NO hypertension, heart disease, cancer, dementia - zippo. Again, think of the irony. We could take one of the Tarahumara into a physician here in the U.S. and the physician would probably be very concerned and perhaps advise the Tarahumara man to pull up his cholesterol. Now the physician probably has blood pressure of 160/100 and will be on 3 medications by the time he hits 65. Why is he telling the Tarahumara anything? 6. Large Particle LDL Hurts You. Have you heard of "large, fluffy LDL particles." Almost sounds cute, doesn't it? Well, there is nothing cute about any LDL particle, large or small. I cannot tell you the number of times that I have read that large particle LDL does not matter and that it has nothing to do with heart disease. Oy vay. It's true that the smaller particles are the most vicious and the ones to avoid the most. But large particles can definitely promote atherosclerosis, something I document in my page on Large Particle LDL. Again, why are all the self-made experts pushing guys to high cholesterol and the idea that more LDL is better as long as it larger? By the way, I have read many times that atherosclerosis is just a natural part of life and something that we have to deal with. No no no! In my page on Arterial Plaque Reduction, I give a number of prominent examples of those who have lived or completely regressed their arterial plaque. I love this one: "Low cholesterol will damage your brain." This came from early mortality studies that showed that cholesterol had a U-shaped pattern with regards ot certain death rates. However, researchers were cautious to state that low cholesterol actually causes degenerative brain and neuronal issues. Why? Because they knew that all the healthiest cultures around the world have very low cholesterol and these cultures have no dementia or Alzheimer's. So they were silent. One of the suspected issues in Alzheimer's is calcification of the pineal gland, which would disrupt melatonin production of course. And there is a whole another common dementia, called vascular dementia, where blood flow is disrupted to the brain. How does the blood flow get disrupted? Yes, from clogged arteries. Basically, dementia and brain disease may one day better be called "Plaque of the Brain!" CONCLUSION: Yes, you need cholesterol. But let your liver handle it. It's been doing just fine for millenia. 3) Dr. K. Lance Gould, Heal Your Heart book, p. 66 and 67. 4) Clinical Neurology and Neurosurgery, Sep 1992, 94(3):213 217, "Parkinson's disease and basal ganglia calcifications: Prevalence and clinico-radiological correlations"
5) Neurobiology of Aging, Feb 2008, 29(2):203 209, "Pineal calcification in Alzheimer's disease: An in vivo study using computed tomography"